Upon staying with us why not visit Orkney, you have a few options you could Visit Orkney for the Day, weekend or even a week. If you want to you could take a day trip on your own by getting the Pentland Ferry across and taking your car over for a day. You can take an early morning ferry and then return later that evening on the last ferry back. 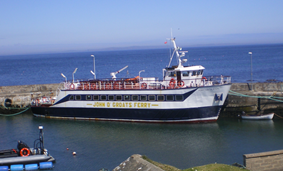 Visit www.pentlandferries.co.uk for prices and crossing times. This is the shortest and quickest way to get across to Orkney with your Car. You could explore further afield by jumping on the North Link Ferry, this takes you across to the Island, crossing time is 1.5 hours and you arrive in Stromness. Take a look at www.northlinkferries.co.uk for further details. The Italian Chapel. 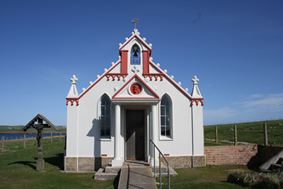 This little church on Lambholm Orkney, which has become to be known as The Italian Chapel is the only relic of Camp 60 which housed in the later years of the Second World War several hundred Italian Prisoners. Broch of Gurness, Evie also known as the Knowe o' Aikerness. Skara Brae Skaill Situated in the grounds of Skaill House is the world famous neolithic village of Skara Brae. Designated a UNESCO World Heritage Site in 1999, the village of Skara Brae was inhabited before the Egyptian Pyramids and Stonehenge were built. The Ring of Brodgar, Steness is the finest known truly circular late Neolithic or early Bronze Age stone ring and a later expression of the spirit which gave rise to Maeshowe, Stenness and Skara Brae. The Old Man of Hoy is the UK's tallest sea stack, Rising out of the Atlantic Ocean to a height of 450 feet (137m). While visiting the island why not taste the unique flavours Orkney has to offer which its famous fudge, Orkney herrings not the mention Orkney cheeses and chutney’s. Taste beautiful seafood from fresh scallops, mussels, lobsters and crab. 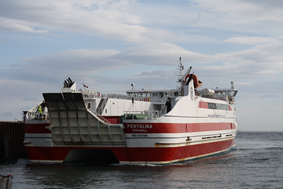 Orkney Islands catch a ferry or two to cross to North Ronaldsay, Sanday, Stronsay, Eday, Rousay, Egilsay and Wyre and Shapinsay. Why not take the world’s shortest flight with loganair from the Isle of Westray to the Isle of Papa Westray. The scheduled time is 2 minutes.